The quarterly “Who Pays for What?” surveys also ask hundreds of auto body shops about issues unrelated to whether an insurer will reimburse them for various not-included operations. The answers provide insight into other elements of running or working in a collision repair business, and we thought we’d round up a couple here from the April survey released earlier this month. Storage rates don’t get as much attention as labor rates, but the charges are important considerations for repairers, insurers and customers. For insurers and customers unfamiliar with the concept, the idea is that a car sitting inert awaiting a decision by customer or insurer ties up space that the shop could be using to make money fixing someone else’s car. The same goes for the space wasted while awaiting a tow of a total to an auto auction or salvage yard. The shop also might incur expenses related to having that space in the first place, such as the cost of buying, leasing, heating or insuring the square footage. The April “Who Pays for What?” survey found the median storage rate indoors was $50, while storing a vehicle outside cost $40. That means half of all repairers charge more than those amounts, while the other half charge less. Two years ago, shops charged $45 inside, $35 outside, though it’s unclear if this higher-than-inflation difference is statistically significant. The study found that when compared to other estimating service providers, more shops seemed to choose CCC because of its quality instead of as a reaction to insurer behavior. 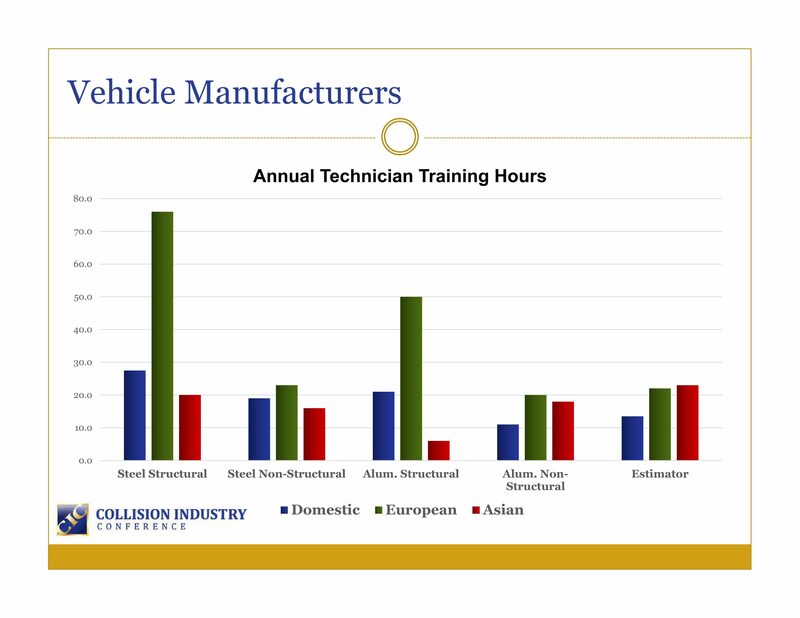 Collision Industry Conference survey data from 2017 showed that more than 50 percent of non-management received less than 10 hours of training, though more than 40 percent received more than 10 hours. Another study found between 7.4-12.6 hours of training per employee, depending on his or her role. The “Who Pays?” survey seemed to bear out the CIC results. The median estimator, tech and administrator received 10 hours of training a year, while the 50th-percentile manager received 12 hours. A remarkable increase in training appears between the 75th and 95th percentile, based on the survey data. “Shops in the top 5 percent (the 95th percentile) are offering more than double the annual training as even those shops in the 75th percentile,” Collision Advice and CRASH Network wrote. According to a CIC OEM survey, Asian manufacturers felt technicians needed 20 hours of training annually to perform steel structural work on their respective brands, while domestic OEMs felt 27.5 hours would be necessary. 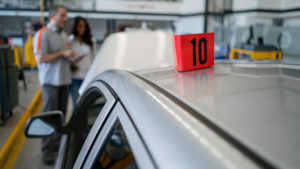 European automakers, however, wanted technicians to have 76 hours of structural steel training. “Shops need to take the cost of training into account when establishing their labor rates as I believe the investment in training will increase in the years to come because of the rapid changes and complexity in vehicle design and technology,” Anderson wrote.